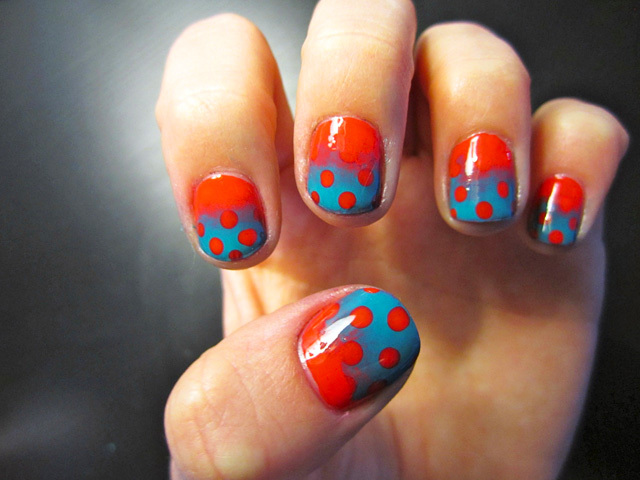 I created a gradient nail with contrasting polka dots in summer colors - its easy to do, but looks difficult. Here's how to recreate the look! 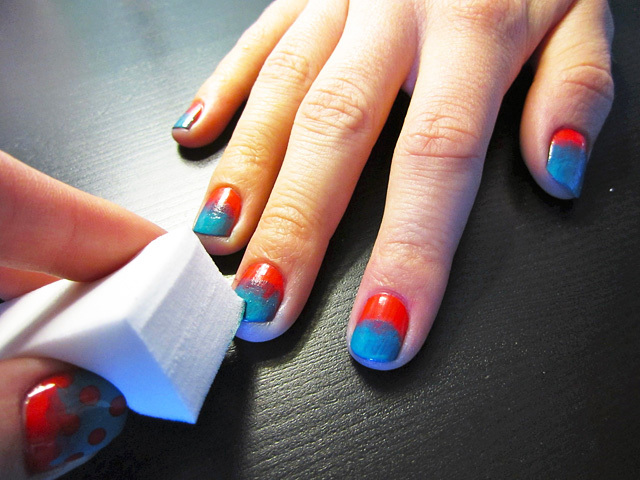 Apply your base coat and base color, and then let dry. 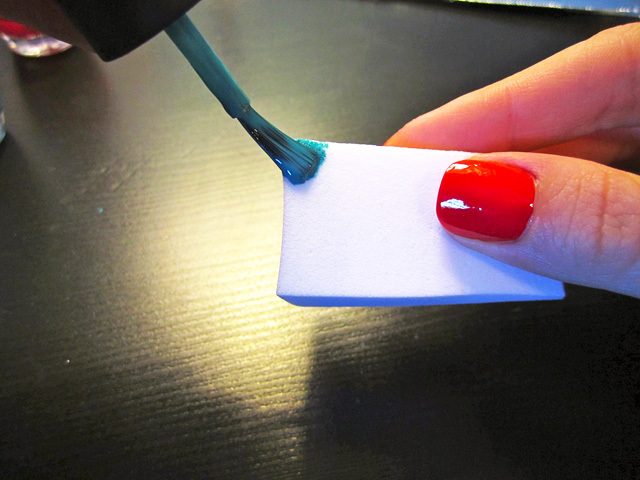 Paint the contrasting color on the makeup sponge. Sponge on color, starting at the tips of the nails. Here is a link to my YouTube tutorial on how to do Gradient Nails. 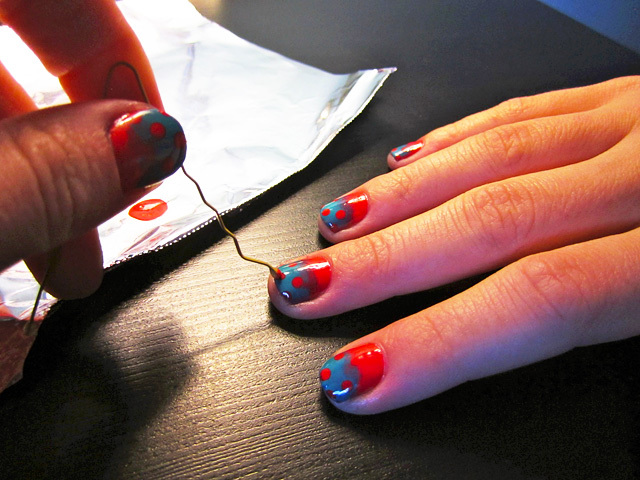 Dip the bobby pin in the base color, and make polka dots all over the nail. 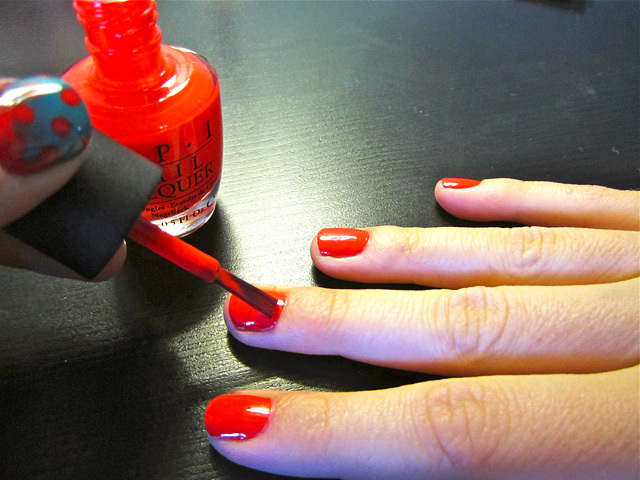 Use a cotton swab dipped in nail polish remover to clean up any stray polish. Apply your top coat, and now your look is complete!